December 4, 2018, will go down as one of the most significant dates ever for the 91-year-old Delta Queen Steamboat. That’s the date President Donald Trump signed into law the Frank LoBiondo Coast Guard Authorization Act of 2018, which includes language exempting the Delta Queen from a 1966 law that requires vessels carrying overnight passengers to be constructed of noncombustible materials. “This marks the beginning of a new chapter in American steamboat history,” Leah Ann Ingram, vice president and chief operating officer of the Delta Queen Steamboat Company, said in a statement. 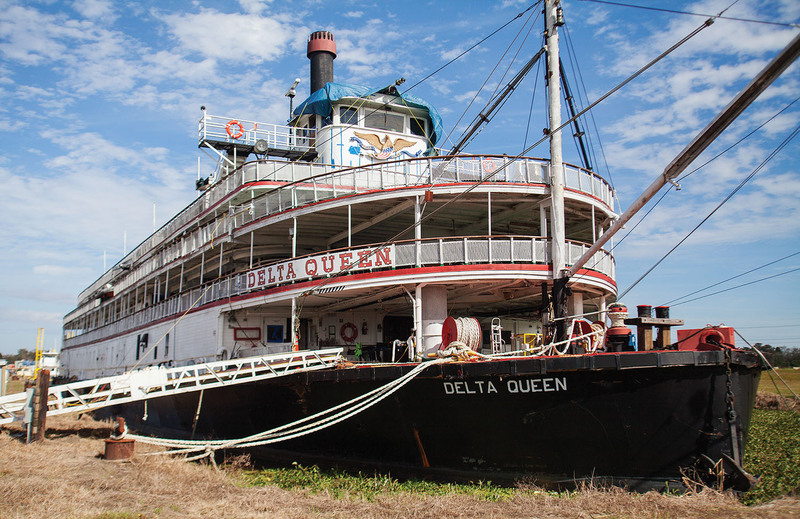 “This was the first big step in returning the Delta Queen to the waterways where she belongs. For the Delta Queen, the journey to this new start has been as long and winding as the waterways the steamer has traveled for the better part of a century. The ship’s boilers were built in 1919 and were originally intended for a World War I vessel. Of those four boilers, two were placed in the Delta Queen and two in the Delta King. The Queen was built in Stockton, Calif., in 1927, and the vessel first ferried cars, freight and passengers between Sacramento and San Francisco, Calif. The vessel then served during World War II as a ferry boat, ferrying soldiers from the dock in San Francisco to ships anchored in the harbor. After the war, Greene Line Steamers bought the Delta Queen as war surplus, towed it through the Panama Canal to New Orleans, La., and later had the vessel refurbished at Dravo Shipyard in Pittsburgh, Pa. The 285- by 60-foot vessel, which has accommodations for 176 passengers and a crew of 80, began offering overnight cruises on the nation’s inland waterways beginning in 1947. About 20 years later, though, Congress passed the Safety at Sea Act in 1966, which aimed to prevent fires aboard wooden, foreign-flagged passenger vessels calling on U.S. ports. But the language of that legislation inadvertently applied to the Delta Queen, placing the future of the historic vessel in question. Though the Delta Queen bears a steel hull, much of the steamboat’s upper decks are wooden. Congress passed a two-year exemption for the Delta Queen in 1966, and that exemption was renewed intermittently until 2008, when Congress failed to take up the measure. For a time after that, the boat was docked in Chattanooga, Tenn., where it served as a dockside hotel. In early 2015, a reconstituted Delta Queen Steamboat Company bought the vessel and moved it to Houma, La., where it has been moored ever since, awaiting renewal of its exemption. Now with a 10-year exemption secured, officials with the company say they’re ready to embark on an estimated $10 million to $12 million repair and refurbishment project, with cruises estimated to begin again in 2020. Martin, who served as vice president of corporate affairs for the company from 1993 through 2004, then came back as president and CEO in 2012, said the company has already been in talks to replace the boat’s 100-year-old boilers. 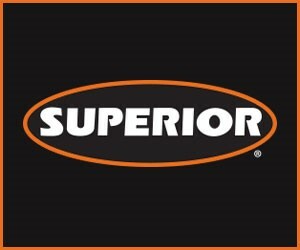 The company has already done some internal engineering and design work. Martin said the steamboat’s boilers, generators and main steam line, along with much or all of the HVAC and sewage systems, will be replaced, along with upgrades throughout the staterooms and in the public areas of the vessel. Martin said he anticipates much of that work taking place where the Delta Queen is currently moored in Houma, with the balance taking place when the boat is eventually drydocked at a shipyard. Though a shipyard has not yet been named, Martin said he was sure the work would take place somewhere between New Orleans and Morgan City, La. Also on November 30, officials mounted the Delta Queen’s whistle aboard the Natchez and “borrowed some steam” in order to blow the whistle and officially mark the occasion. The current exemption runs from December 1, 2018, to December 1, 2028. Terms of the exemption include a requirement to convert at least 10 percent of the wooden areas of the boat to noncombustible materials each year. The bill requires the vessel’s owners to prioritize converting galleys and areas near the engines, boilers, electrical panels, fuel and oil tanks, and generators to fire retardant materials. “That’s the low-hanging fruit,” Martin said. Martin said the Delta Queen Steamboat Company will work closely with the Coast Guard to develop a refurbishment plan and an ongoing conversion plan to completely meet the terms of the exemption. He said he hopes to continue a longtime practice aboard the vessel of replacing any subsurface wood with noncombustible materials, then covering it with original or period-appropriate woodwork. “So that she, in essence, retains that look of a 1927 steamboat,” Martin explained. Martin said it’s all about preserving the legacy of a bygone period of American history—a legacy that continues to draw fans to the Delta Queen. Once renovations are complete, the Delta Queen will offer a variety of itineraries along the Mississippi, Ohio, Tennessee, Kanawha, Arkansas and Illinois rivers, along with the Gulf Intracoastal Waterway. The vessel will offer three-, five- and seven-night cruises. Although interested cruisers are not yet able to reserve a place aboard the Delta Queen, Martin said they can track the vessel’s progress at www.DeltaQueen.com.